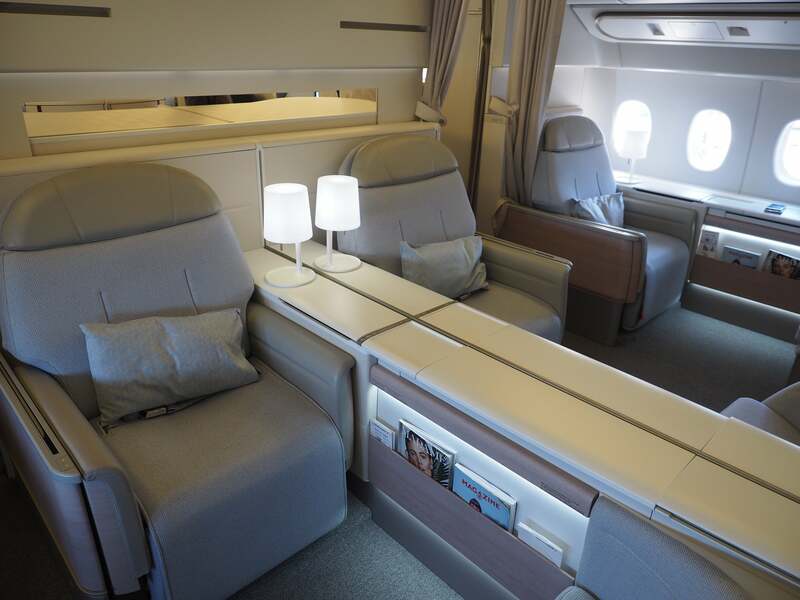 The Air France 777-300 La Première cabin is as chic as you’d expect. The ground experience at CDG (Paris) is one of the best experiences I’ve ever had. The pros: an exclusive lounge with spa and fine dining and a fully private seat in a small cabin. The cons: hard to book using miles. 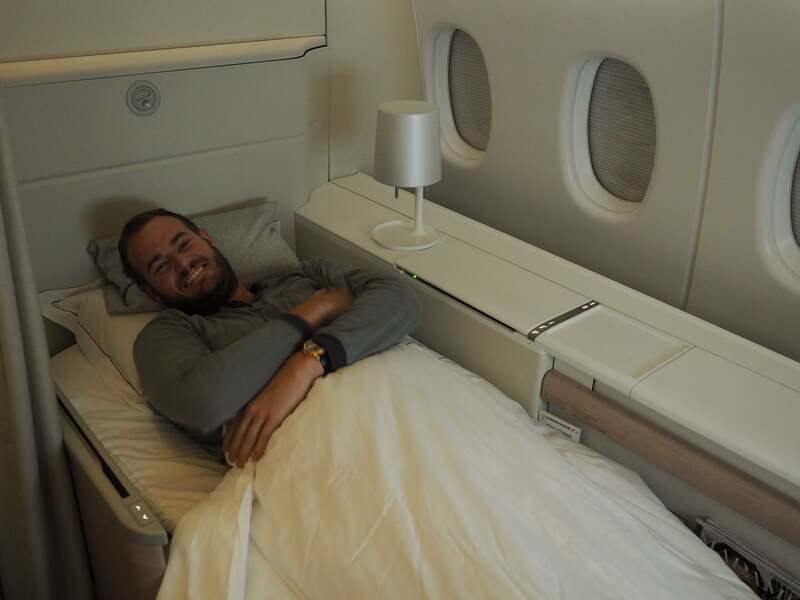 Last summer, I scored a relatively cheap first-class fare on Air France so I could fly the A380 on the outbound and the 777 on the inbound. 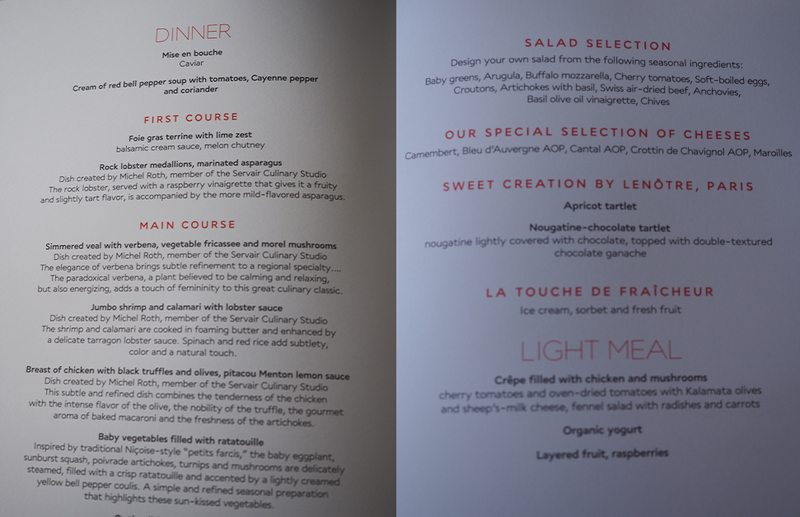 While I personally like the A380 more (it’s a quiet ride), I knew Air France’s 777 La Première product was much nicer, so I decided to try them both out. I flew the A380 from JFK and the 777-300ER home from Amsterdam (AMS) to Paris (CDG), where I spent four long hours in the lounge and then traveled onward to New York (JFK). 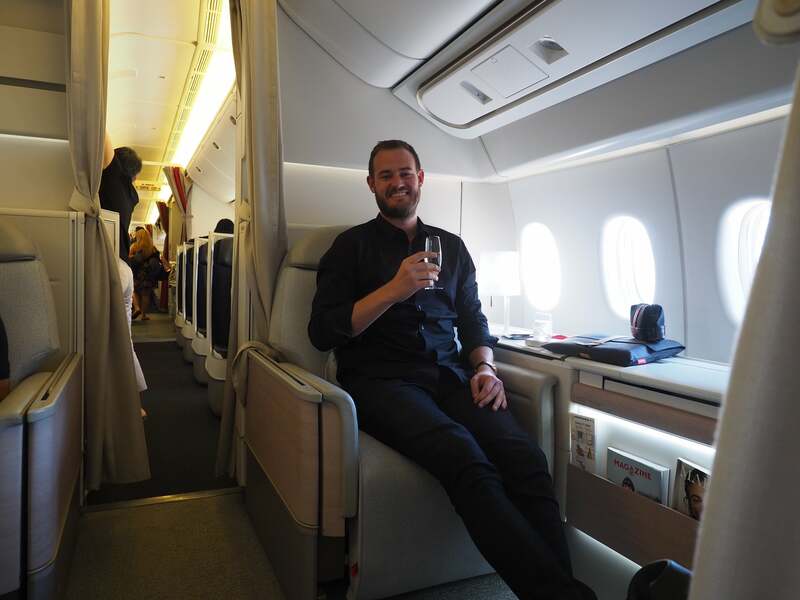 While I enjoyed my A380 flight out, I wasn’t overly impressed, especially since the Arrivals Lounge was subpar — it was simply a set of showers in a basic business-class lounge. 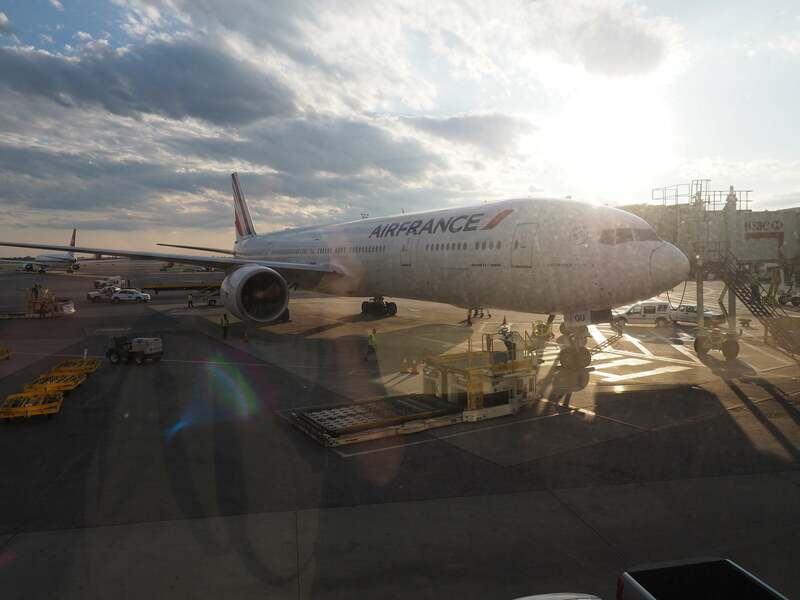 But between the return flight home and the time I spent in the Air France First Class Lounge — where I was escorted and got to ride in BMWs — I had a wildly better experience than I’d had with the A380. I guess the moral of the story is if you can only fly Air France on one plane, choose the 777 and try to fly from Paris to New York. The trip is longer and it’s a daytime flight, too. 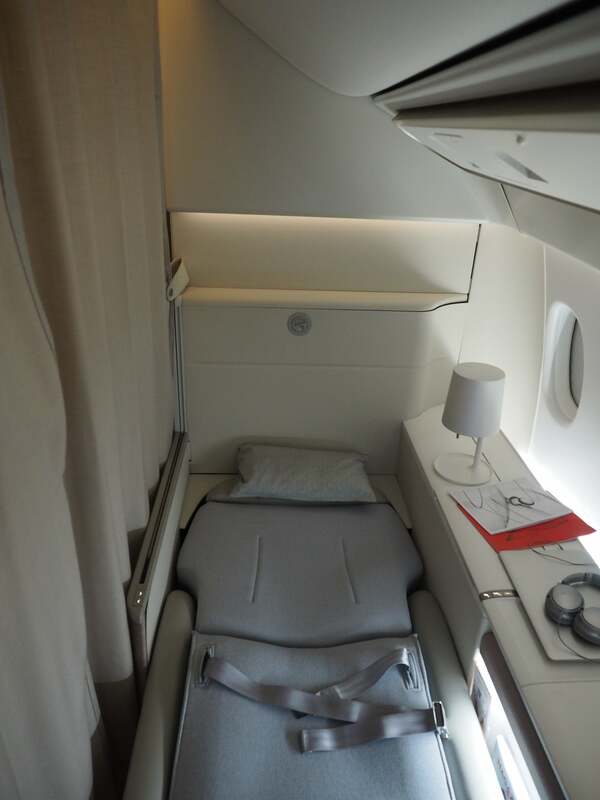 As I wrote about in my Air France A380 review, I paid $5,731 for a round-trip flight between New York (JFK) and Paris (CDG), which is nearly half the price of first-class tickets, which can go for more than $10,000 round-trip. 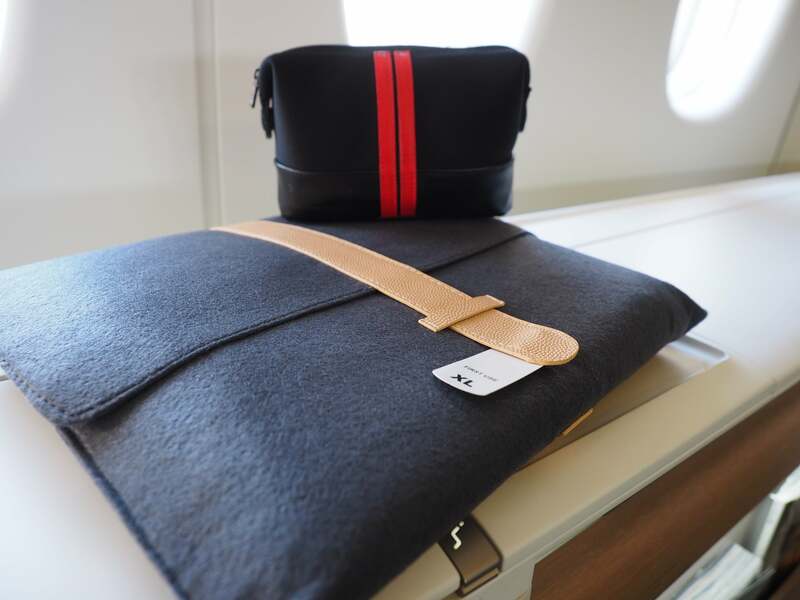 It’s also incredibly hard to book Air France first class with miles, as you have to be a Flying Blue Elite member, plus it’s a whopping 162,000 Flying Blue miles for a one-way flight. I decided to credit the flight to Delta since I have Platinum Medallion status on the airline, so that earned me over 50,000 SkyMiles. Had I credited the flight toward Flying Blue, I would have earned only 21,895 miles. I booked the ticket using my American Express Premier Rewards Gold Card, which yielded 3x Membership Rewards points on travel because I got my ticket directly through the airline’s website. In total, the purchase earned me 17,193 Amex Membership Rewards points, which are worth around $327 based on my most recent valuations. If I was booking it now though, I would put the purchase on my Platinum Card from American Express, which lets you earn 5x points on airfare when you book through the airline directly. Check-in at Amsterdam (AMS) was normal for Air France business class, but when I landed in Paris (CDG), I was escorted to the first class lounge via car. 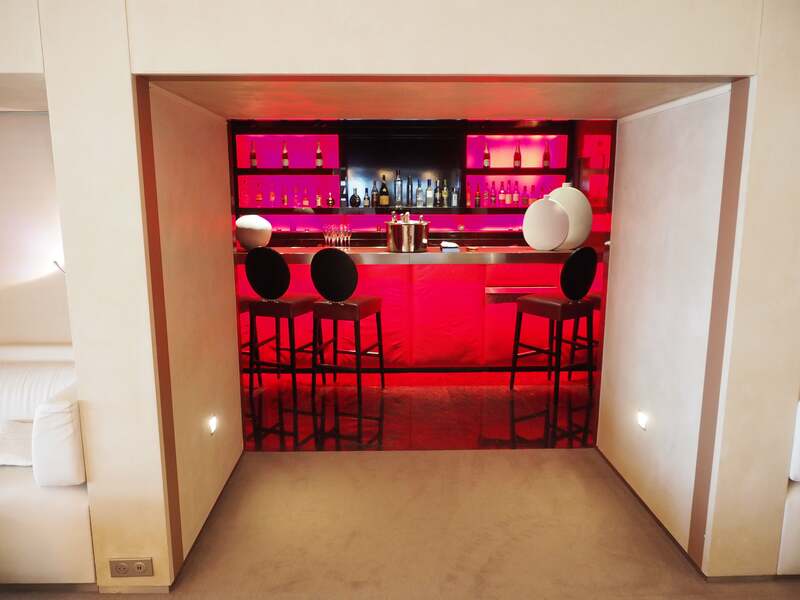 I thought the space was really well done, complete with private dining, a private spa, and a great buffet and chic bar. The lounge offered plenty of space to sit. 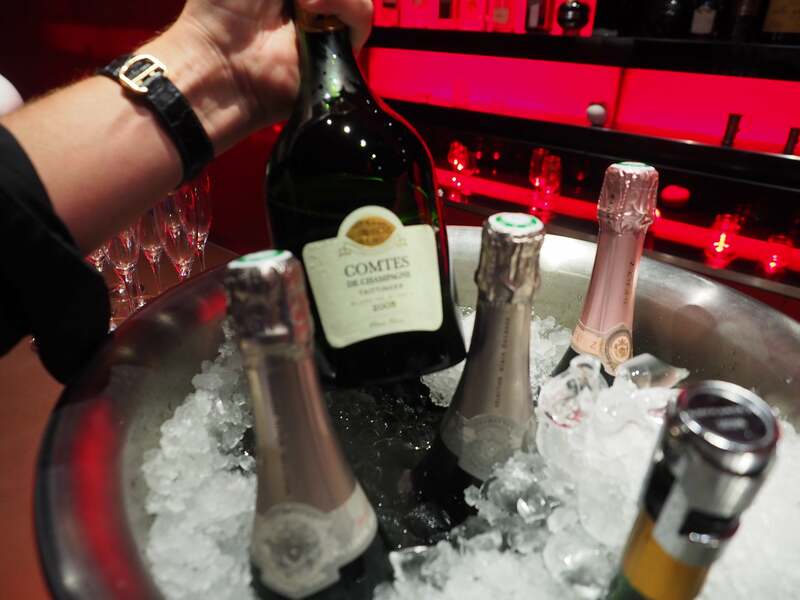 The wine list featured Champagnes by Deutz, Taittinger and Alain Ducasse, a celebrity chef with his own brand of Champagne — all of which typically go for at least $150 a bottle in stores. The lounge featured a few cool little areas, like banquettes to relax in and a relaxation room for while you wait for the spa, but they aren’t private. 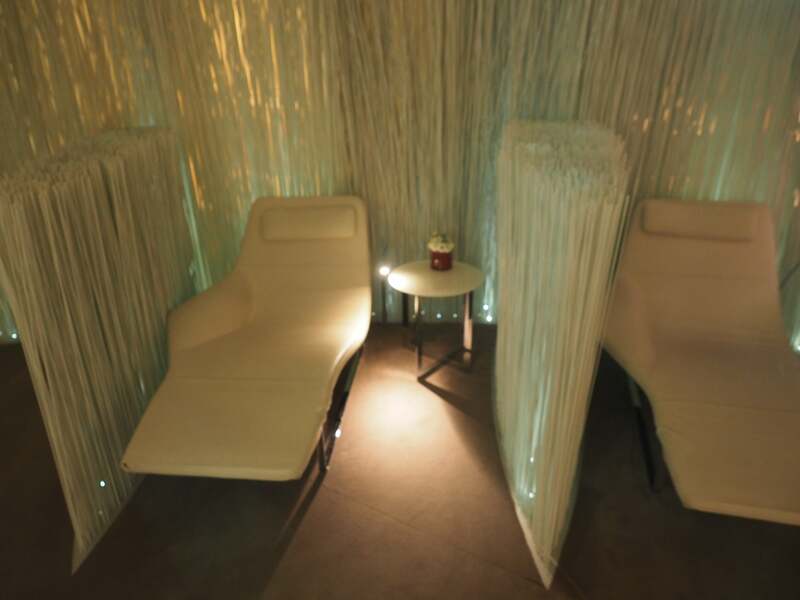 I just wish the spa had private cabanas like the ones in the Cathay Pacific and Lufthansa First Class Lounges. 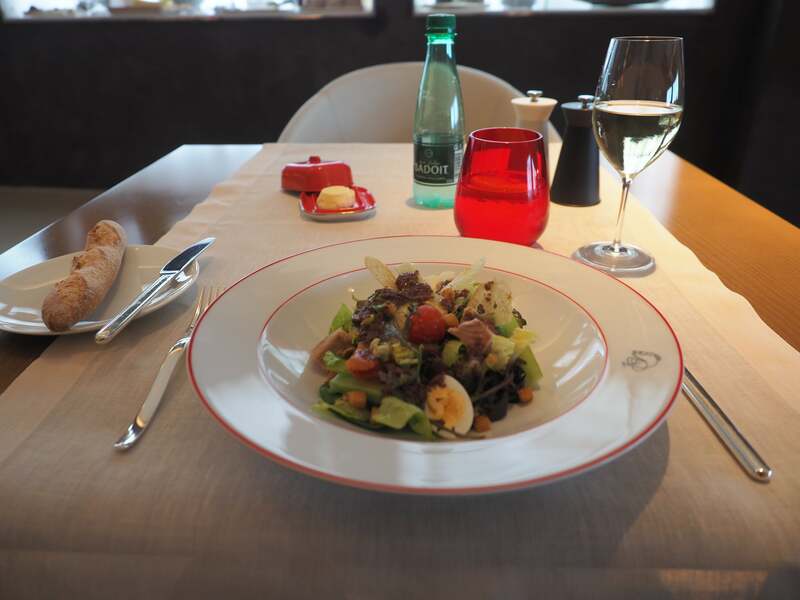 Still, the Air France First Class Lounge is definitely one of the best in the world. The spa was really relaxing and the food was decent, although nothing too, too crazy. I really enjoyed the crab and lobster salad. There is also a buffet of cheese, bread, salami and other food items but you can order à la carte items off of a menu as well. 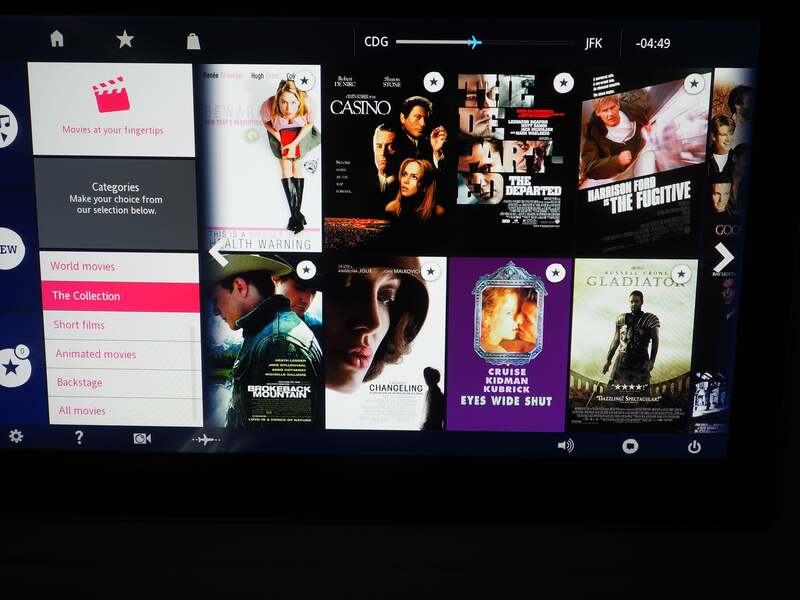 Just like at JFK, you can choose to board last or first as a first class customer. I decided to board first so I could get pictures. I was driven directly to the plane. 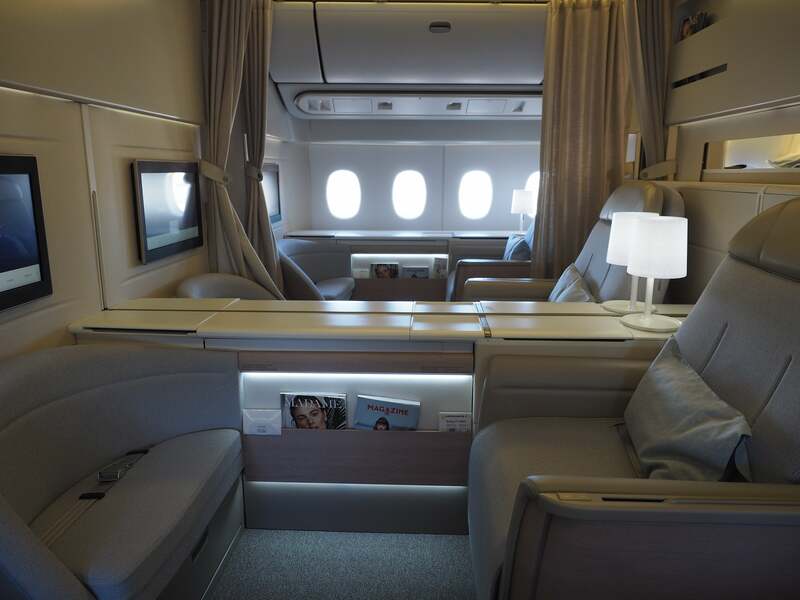 The biggest difference between this aircraft and the A380 is that there are four seats on the 777 and they actually have their own curtains to close, so it’s all very private. The middle seats have a barrier between the suites and a curtain is hung for even more privacy. Champagne was served on the ground in Paris, unlike at JFK where this doesn’t happen. It’s a nice plush seat. The 777 seats are much more modern and sleek compared to the A380s. 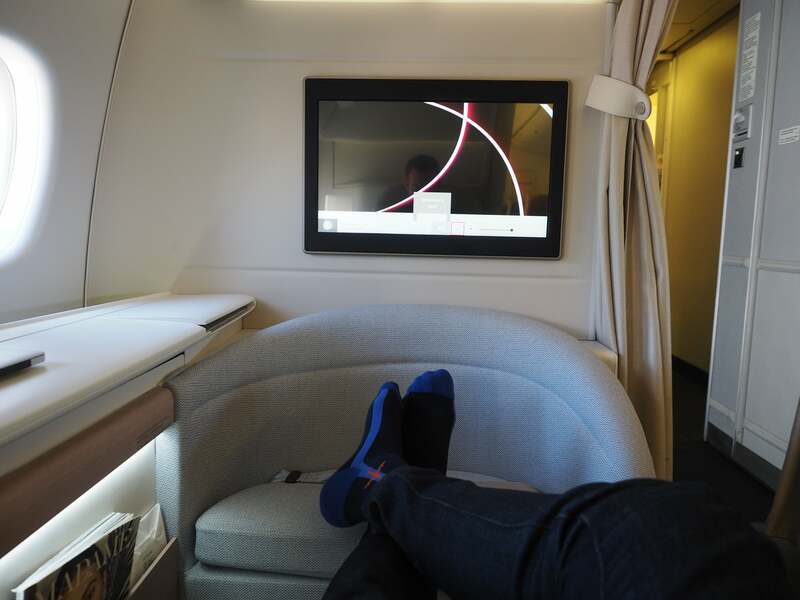 The seat was nice and wide, but it’s not the largest first-class suite out there. In the end, I’m 6’7″ and felt totally comfortable. The pajamas were top-notch too; the little bedside lamp was a great touch. According to Air France, the pitch of a La Première seat on the 777 is 79 inches while the width is 30 inches. By comparison, the A380’s pitch is similarly 79 inches but the width comes in at just 24 inches, a whole half foot less! They had tons of movies to choose, from new to old. I brought my own Bose Headphones. I thought the Givenchy amenity kit was very nice. It came in a neoprene bag with various cosmetics. It included Le Soin Noir skin care products from Givenchy, pictured here is the face cream. Note that there was Wi-Fi on the flight — it’s one of the few 777s to have it — and it was fast enough that someone else in first class was able to use FaceTime, at least before they were told not to by flight attendants. Veuve Clicquot La Grande Dame was the Champagne of choice on this flight, which typically goes for about $150 a bottle on the ground. 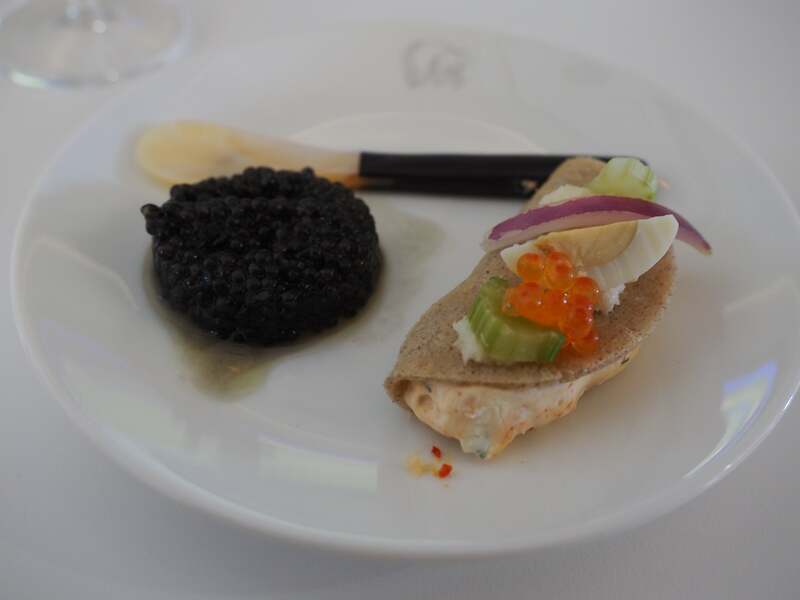 There was caviar on this flight, too, but not on the outbound. 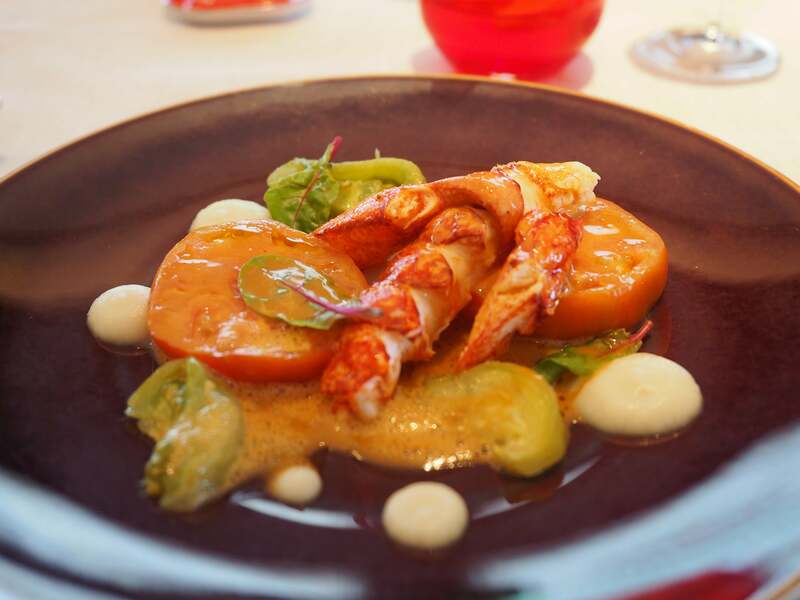 The food was decent — nothing was outrageously good or amazing. I had the jumbo shrimp and calamari with lobster sauce which was solid. Here’s a peek at the wine menu. I enjoyed the simmered veal with verbena. 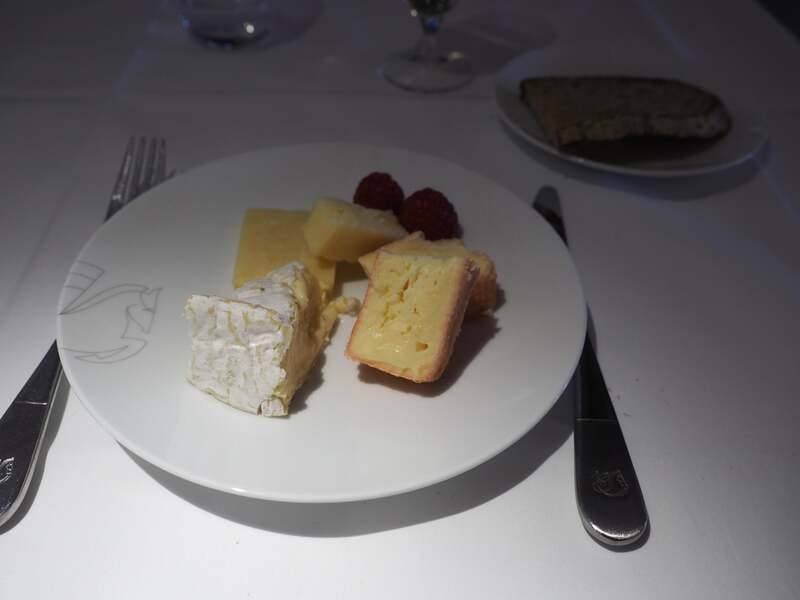 The cheese plate was simple and elegant. Before landing, I was served a pre-arrival snack. Overall, the food was good but it didn’t blow me away. It was a really pleasant experience overall, but for the price you’re paying and considering how hard it is to redeem miles for first class — you could technically do a status match to Air France and then book this for a crazy amount of miles — it might not be the best value. 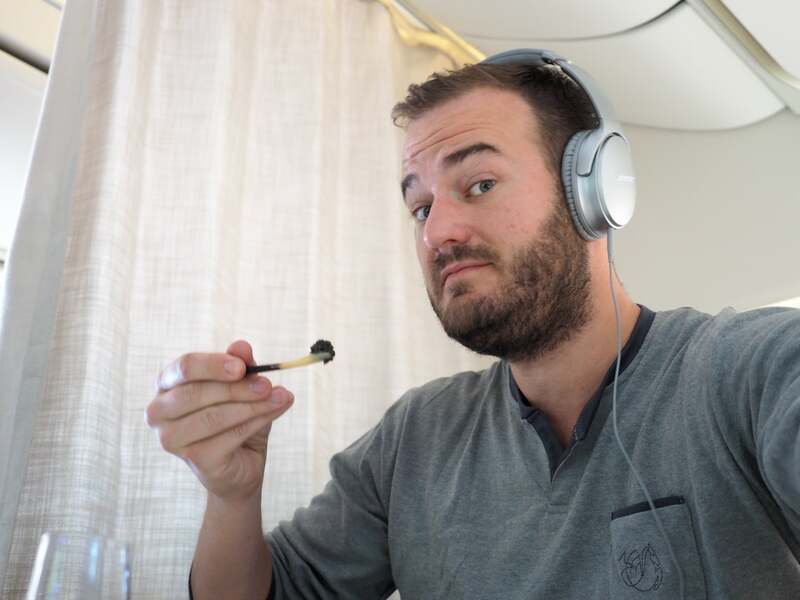 It’s definitely a very solid experience and the La Première lounge is incredible, but I still think Etihad’s Apartment and Lufthansa First Class were much better. 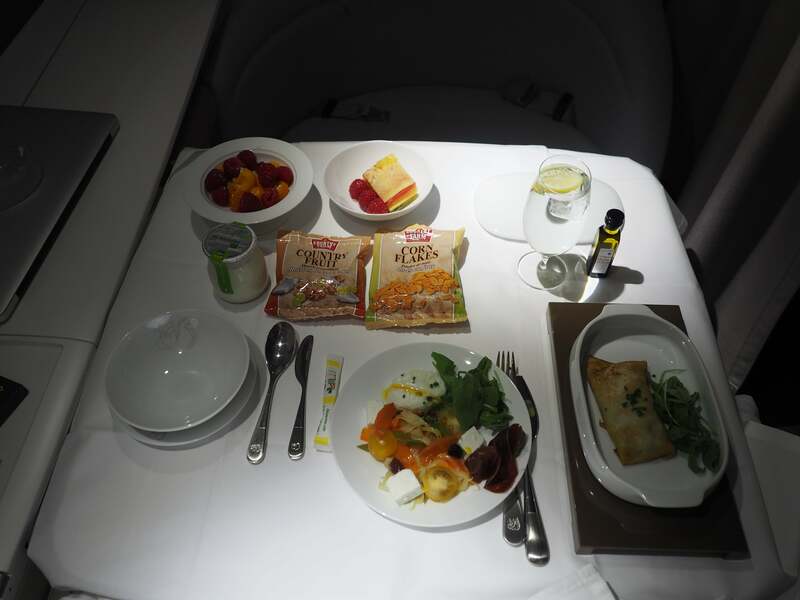 Have you ever flown in first class aboard Air France’s 777-300ER? Tell us about your experience, below.